We first heard about Alesana side project, Tempting Paris in 2010. In the months prior to The Emptiness’ release, small hints at the project were given in various interviews, a myspace page was made, and then things went quiet. Two years later, Tempting Paris has re-risen and it appears as if material is prepared and ready for the next step. Come the end of March, the project will take musical flight because the members will be recording at that time. Tempting Paris’ members include Shawn Milke, his sister Melissa Milke (who has provided the female vocals on every Alesana record), Patrick Thompson, and Joey Mitchell (from Swampcandy) and producer Kris Crummett. This promises to be a very interesting project and we’ll be keeping a close eye on the recording progress. Stay tuned and keep up with us on our social networks! 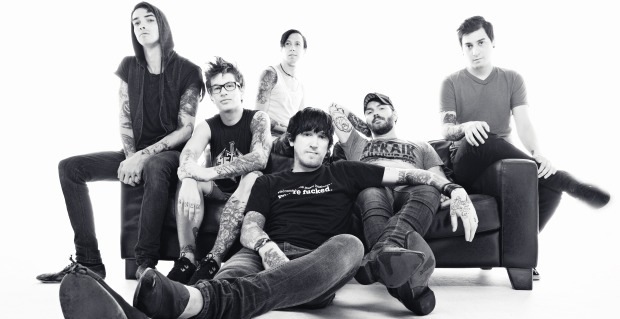 alesana is my favourite band….